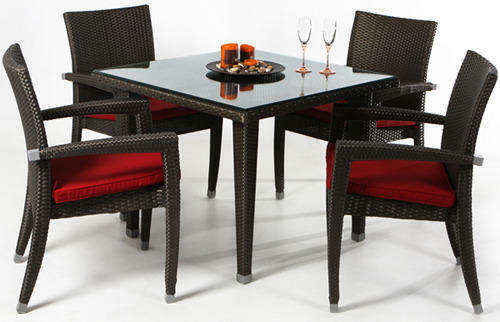 We are instrumental in offering premium quality Outdoor Furniture to our valuable customers. Manufactured from high quality Plastic & aluminum, these furniture items are highly demanded in various hotels, lawns and restaurants. These furniture items are known for their superior finish, eye-catching design and enhanced functional life. We, Wicker Hub , incorporated our operations in the year 2008, as one of the celebrated Manufacturers, Distributors, Wholesalers, Traders, Suppliers and Importers of a massive assemblage of Garden & Outdoor Furniture. Our products collection includes Outdoor Furniture, Garden Furniture and Hotel Furniture that is available in different designs, sizes, shoes and finishes to satisfy the disparate requirements of our esteemed customers. To keep up with the quality standards, these furniture pieces are made from supreme quality raw materials procured from our trustworthy vendors of long term. At our company, we have established a magnificent infrastructure facility that comprises of tools and equipment that are efficient enough to impart the best quality possible. Furthermore, we have hired a team of hardworking professionals, who are experienced and well trained to understand the changing market trends and client demands as well. Our consistent efforts have earned a gigantic array of customers worldwide. We are highly acclaimed in the Indian and abroad markets for the quality that we offer. We import our products from China and Germany.